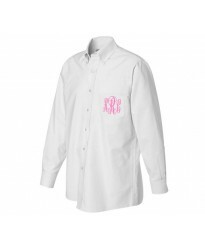 Now you can shop for a popular collection of Monogrammed Oversized Bridesmaid Button Down Shirts which come in nice colours such as white, sky blue, pink and ideal for the Bridesmaid. This is a must for any big wedding day event and now you can have your classic Monogram embroidered in the thread colour of your choice. 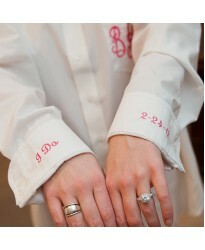 Monogrammed Oversized Shirts with cuff sleeve custom text embroidered Oversized shirts now ..
Monogrammed Oversized Bridesmaid Shirts - Premier brand with initials embroidered Now you c..